And does God have a sense of humor. 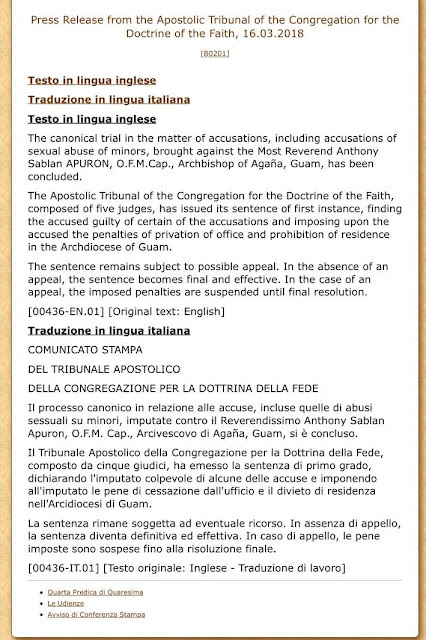 Guilty sentence announced on (Guam Time) March 17, the Feast of St. Patrick, patron saint of the now-defunct RMS, and the very day Fr. Luis Camacho was arrested in Agat. Agat, the place of all of Apuron's horrors. 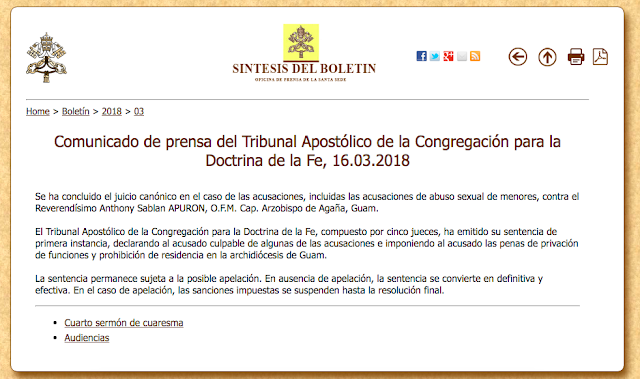 A Vatican tribunal has found Archbishop Anthony Sablan Apuron, who was accused of sexual abuse, guilty of “certain of the accusations” against him, and removed him from office. The Congregation for the Doctrine of the Faith announced the verdict on Friday and imposed upon the archbishop “the penalties of privation of office and prohibition of residence in the Archdiocese of Guam”. Archbishop Apuron has headed the Archdiocese of Agaña since 1986. 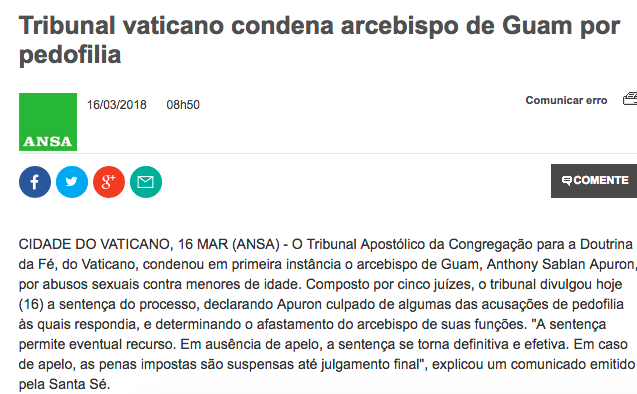 A source told The Catholic Herald that Archbishop Apuron will appeal the verdict, and remains Archbishop of Agaña while he does so. 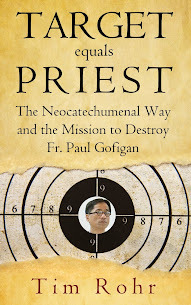 The accusations against the archbishop ranged from the most serious allegations of child abuse to less serious accusations. The CDF rejected most of the accusations, and has not revealed which ones he is guilty of. 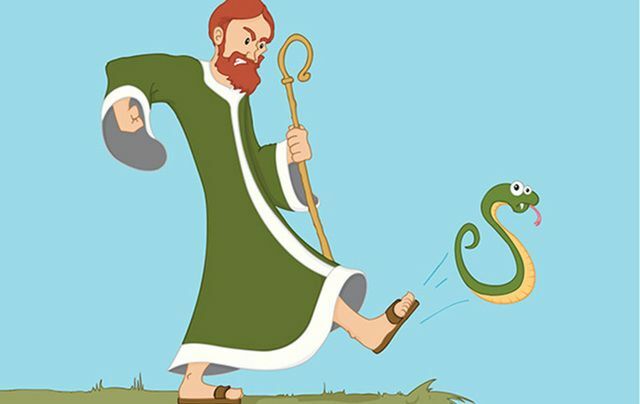 The archbishop denies all accusations against him. 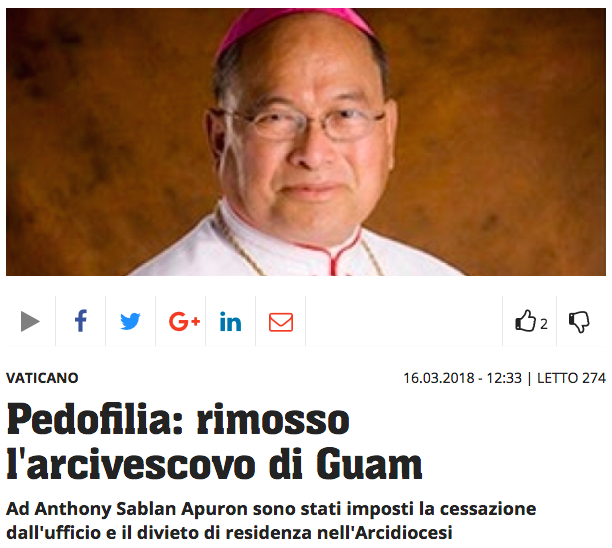 ROME — A Vatican tribunal has found Guam Archbishop Anthony Apuron, who had been accused of sexually abusing young men decades ago, "guilty of certain of the accusations," imposing a penalty of removal from office and a prohibition from living on the U.S. island territory. Apuron, a Guam native who had led the island's only diocese since 1986, was placed on leave by Pope Francis in June 2016 after a series of accusations about abuse of young men in the 1960s and 70s were made public. Francis named an apostolic administrator to run the archdiocese for several months and then named Coadjutor Archbishop Michael Byrnes, a former auxiliary bishop of Detroit, to take over. As coadjutor, Byrnes would automatically become full archbishop of the archdiocese with Apuron's removal from office. 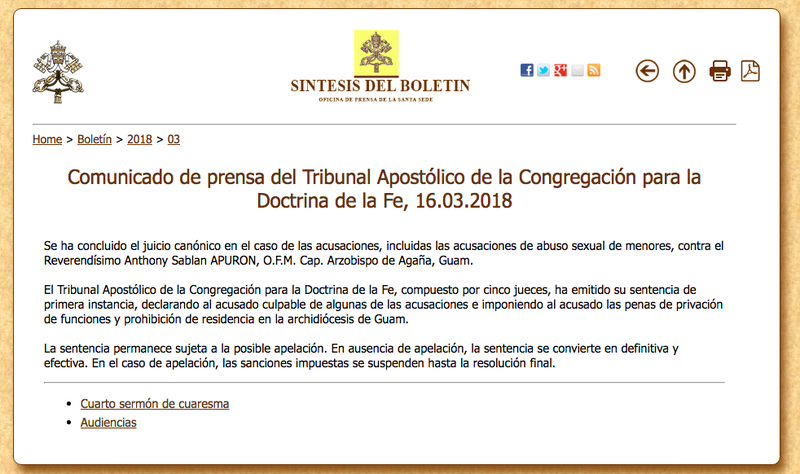 But the doctrinal congregation's statement made clear that Apuron still has the right to appeal the ruling, and that during such an appeal the penalties against the archbishop are suspended. U.S. Cardinal Raymond Burke, a noted canon lawyer, has served as the presiding judge in the Vatican's canonical trial. Apuron, 72, has been accused of having inappropriate physical contact with at least five young boys. The allegations emerged in May 2016 when one of the boys, now in his 50s, came forward, prompting others to do the same. Apuron has denied the allegations against him, and Guam civil authorities have not charged him with any crimes. The Guam archbishop was spotted in Rome in February, when he was seen in a wheelchair during a weekly Wednesday audience with Francis. 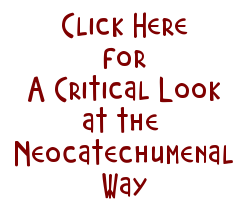 Several outlets reported at the time that Apuron greeted the pope and told him: "Holy Father, I wanted to see you before I die."